Some music fanatics maintain record collections over time for sentimental reasons. Others prefer the richness and clarity of the medium. And still others use record collections as irrefutable evidence that they are, in fact, way cooler than you. But whatever the reason, we’re all still buying records despite streaming more music than ever before. Vinyl sales have enjoyed a decade of consistent growth – from 1.8 million records sold in 2008 to 16.8 million in 2018, according to Nielsen media ratings. And that is music to the ears of local record stores like Vinyl Renaissance in Overland Park, Kansas. 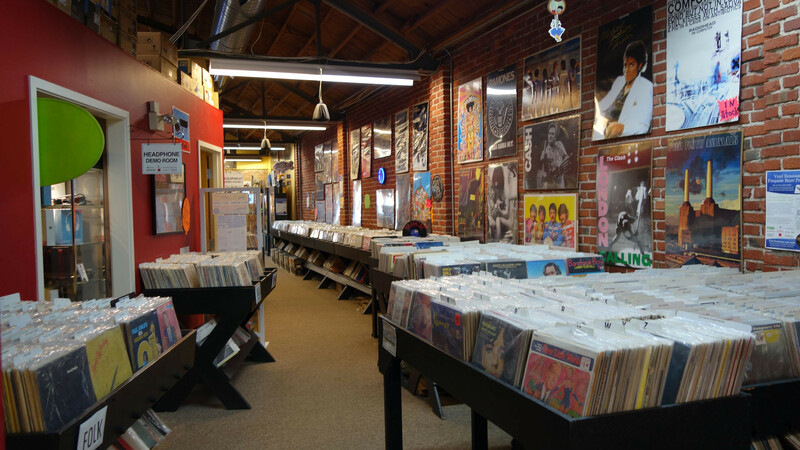 Dan Phillips, who co-owns the store, has been a beneficiary of that trend, as he and his ownership group have operated some iteration of the beloved record shop for 20 years. And as a way of thanking his customers for staying analog in an increasingly digital world, he offers a number of in-store events throughout the year. 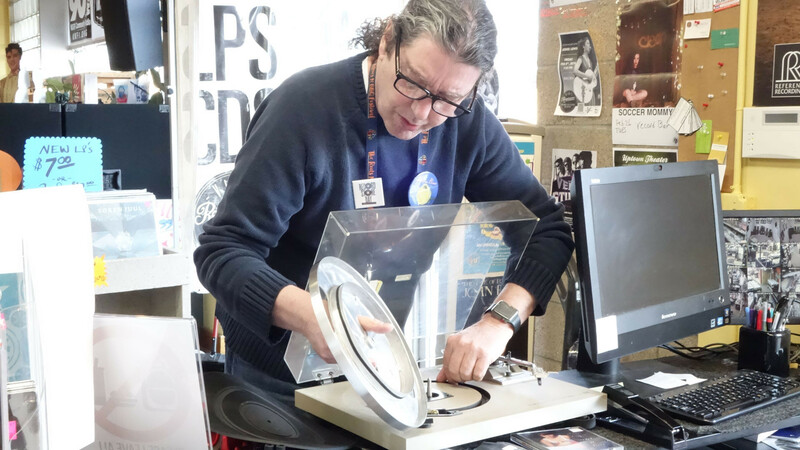 One such event is this weekend’s Turntable Clinic with Chad Stelly – a representative of turntable distributor Musical Surroundings – wherein customers are invited to bring their own turntables to the store. 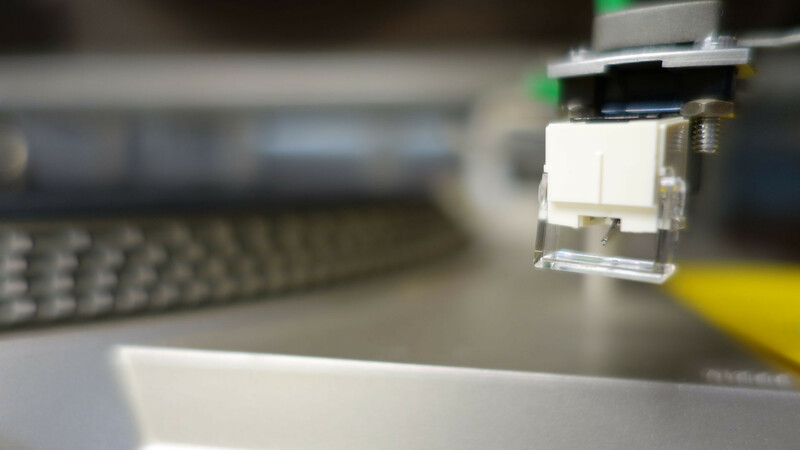 There, the experts will check the turntable’s stylus condition under a microscope and calibrate the cartridge alignment on the turntable to optimize the audio output. It’s hard to be a fan of vinyl records without being mercilessly bashed over the head by audio snobs propagandizing used or refurbished vintage units as the only way to go. Phillips rolls his eyes at these types. First, the rarity and demand for these old units makes their price point undesirable. But more importantly, as Phillips notes, they aren’t necessarily “better” at anything. “As much as people think ‘70s stuff is really cool, technology has moved on. Production and materials have gotten much better,” Phillips said. In the same manner, vintage speakers are generally horrible at giving balanced, full tone. 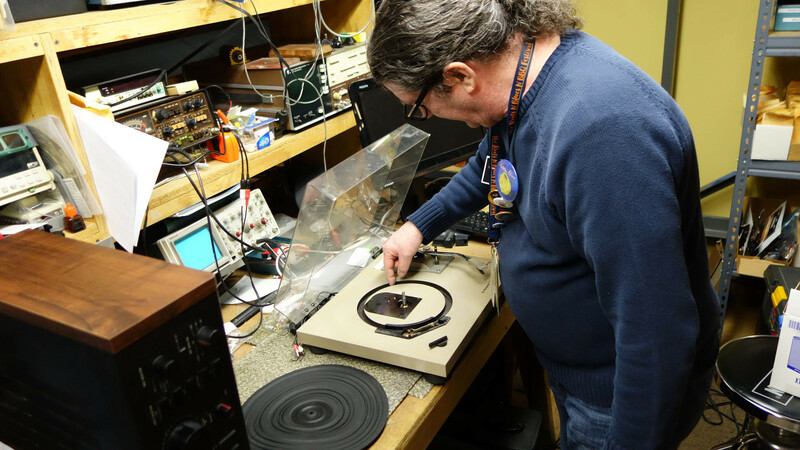 By contrast, most name brand audio companies will test modern speakers using computer technology to ensure they deliver the whole spectrum of frequencies at the right phasing – something that simply didn’t exist when these vintage units were manufactured. Yeah, your shiny new record player is cool, and of course you’re excited to hear those records you just bought, but not properly calibrating the turntable can cause permanent damage to the stylus. More importantly, if you’re not hitting the center of the groove, you’re not getting the whole range of sound in the track. So even a high-end audio unit will sound like AM radio if you aren’t careful. 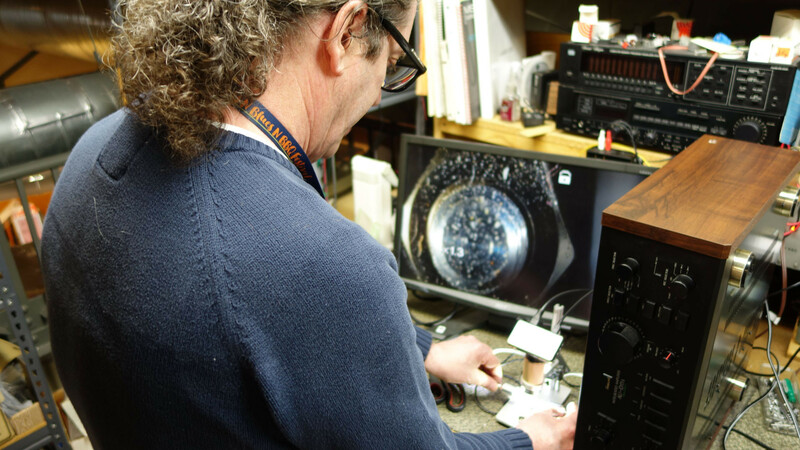 Fortunately, one of the many functions of Vinyl Renaissance’s Turntable Clinic this weekend is to help customers properly align their cartridges to get optimal sound. This one is so easy, but you simply don’t do it enough and you know it. Even if your turntable has a dust cover, there are still microscopic bits of dust, dirt and grime floating in and around your baby. Addressing this is as simple as taking a rag or a microfiber cloth and wiping down all of the exposed spots and the tonearm itself every once a while. Records might be flat, but with all those grooves, they can be fairly porous. And you know you could wash those grubby hands more often, but you don’t. Even if you do, your hands are likely still covered with all kinds of filth, you sick little piggy. What’s worse – each time you touch a record, you infuse that vinyl with a fresh set of oils and gunk. Phillips gets a sense of just how filthy his customers are each time he purchases used vinyl from them. Some are so dirty, they require a trip through a $6,000 machine to deep clean the grooves. But that’s not exactly feasible for home use. For most listeners, Phillips recommends the consumer-grade bath systems that both immerse the records in cleaning fluid and brush between the grooves. If you want to go a cheaper route, some alcohol-based record cleaning fluid and a good brush (most found online are carbon fiber) should do the trick. 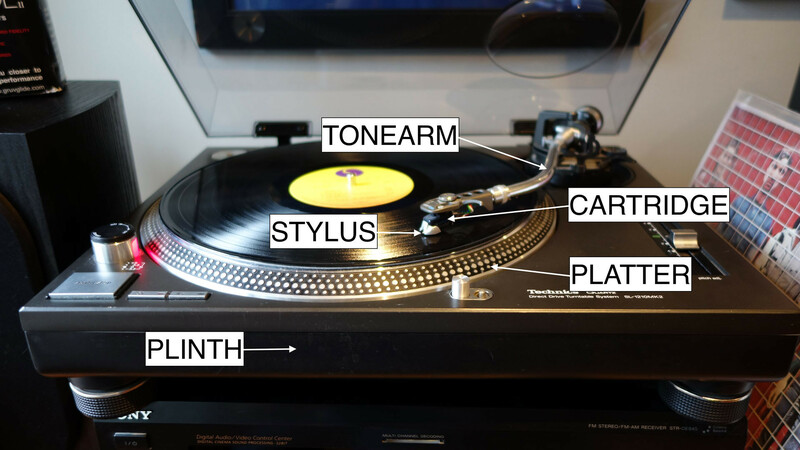 The stylus is the star of the show when it comes to record players. It is the nimble translator between the vinyl itself and your ear. So it’s important to put it in the best position to succeed. Following the above maintenance steps are a great place to start, but nearly all of them are about protecting the real talent. To combat this, Phillips recommends buying a cleaning system with a brush and fluid and suggests that customers clean the stylus as frequently as once a week depending on the level of use. He also warns against purchasing cheap kits, as some have a combination of chemicals so abrasive they can weaken the glue used to mount the diamond tip on the stylus itself. In essence, get the name brand kits instead of the cheap ones you’ll find on Amazon. Vinyl Renaissance hosts its yearly Turntable Clinic this Saturday, Feb. 9 at its store in Overland Park, Kansas (7932 Santa Fe Dr).